When it comes to producing wine, few countries have such a rich and captivating history like Hungary does. It was the Romans who saw the potential in the varied geography of modern day Hungary, and planted the first vines with serious intentions. Since then Hungary has always been at the heart of the European wine scene, if never garnering the reputation and acclaim as other wine producing nations such as France and Italy. Hungarian wine has quietly remained ever-present throughout European history. The sweet wines of the Tokaj region were famously the after-dinner tipple of choice of European nobility for centuries, the Tsars of Imperial Russia were particularly fond of the amber coloured sweet wine. With the advent of Communism, the Hungarian wine scene was mothballed, vineyards remained producing but quality and diversity was sacrificed for quantity and consistency. However, in the 21st century, the landscape in Hungary has once again changed drastically, it is now one of the most exciting wine producers in Europe if not the world. Welcoming experimentation and diversity in all guises, Hungary’s wine scene is going through a real renaissance. Looking to a new breed of renegade wine producers who are just as passionate about their country’s heritage as they are bringing new styles to the fore. One of the most famous regions in Hungary is Tokaj, which hugs Lake Balaton (Europe’s largest freshwater lake). The soil here is volcanic, fertile and incredibly rich in nutrients. This area is synonymous with Tokaji Aszü, which claims to be the world’s oldest sweet wine. However, this preconception that Tokaji wine ​has ​to be sweet is being challenged by young winemakers. One of these is Kata Zsirai from the Zsirai Winery, one the region’s foremost wineries, Kata won the Hungarian young winemaker of the year last year. One of the reasons for this acclaim is because of her commitment to using indigenous grape varieties, she stated ‘the magic of Tokaj is that you can experiment’. In particular she has helped raise the profile of the Hárslevulü grape, which has long been in the shadow of the more popular and numerous Furmint grape, long considered the essential component of Tokaji wine. This new wave of dry Tokaji wine is zesty, with a tart acidity and bone dry finish and hasn’t gone unnoticed across the globe. The reason for this Vivien Ujvari from Barta wines says ‘‘they’re are lots of young people and they want to make things happen’’. Since the fall of communism, Hungarian winemakers have been taking back and forging their own identity. The presence of so many young and female winemakers shouldn’t be underestimated either. Many whom have garnered experience and skills working in California, South Africa and New Zealand before coming back to their native Hungary. Why come back? Well, as Kata said, a lot of it comes down to the ability and freedom to experiment, create and innovate. Hungary has a diverse landscape and topography, from open valleys in the north to volcanic hills in the west to a sub-mediterranean climate in the south. The latter, especially the province of Villány, is the only suitable region to grown international grape varieties such as cabernet sauvignon and merlot. 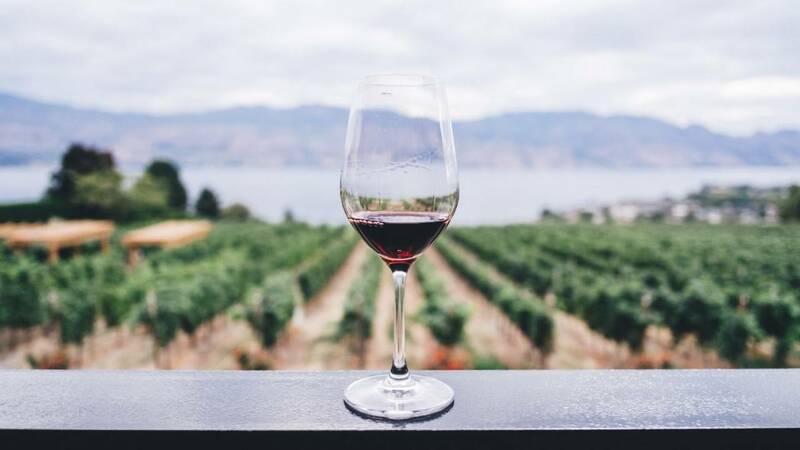 However, although two thirds of wine produced in Hungary is white, there is a small but not insignificant cadre of wine producers trying to bolster the image of the country’s red wine. One of these is Tibor Gál, who has seen the importance of the Kékfrankos grape, which has coped better with sudden rainfall than his preferred variety Pinot Noir. The future of wine production in Hungary is looking very bright, thanks to a new generation of winemakers who want to write their own chapter in the annals of history. Furthermore, Hungary is proof that producers can be creative yet still be respectful and mindful of their heritage. The use and elevation of indigenous grapes cannot be underestimated, their durability has always been valued but now they are proving their worth as credible substitutes for international varieties. Other countries can learn from Hungary too, and how the wine industry there has supported and elevated female winemakers. Hungary’s strength in many ways has always been its diversity, from the geography to its people and this can be extended to its wine industry which is the healthiest its ever been and thus will continue to thrive for generations to come.